China is confronting multiple setbacks, flaws, and failures in President Xi Jinping’s ambitious overseas infrastructure project—the Belt and Road Initiative. Four Asean cities have made the top 20 list in real estate consultancy JLL’s City Momentum Index 2019, which tracks socio-economic and commercial real estate growth in 131 cities over a three-year period. About 200 delegates, including leaders of national tourism organisations (NTOs) of Asean members and the regional groupings partners are gathered in Vietnam’s northern Quang Ninh province to discuss, among other matters, measures to speed up sustainable tourism development. The 38th ASEAN Tourism Forum – ATF officially kick-started on Jan. 14 in Ha Long, Viet Nam, with official meetings by NTO and ministerial delegates in full swing. The first season of a China-ASEAN cultural documentary Dan’s Way has been released, which kicked off celebrations of the China-ASEAN Year of Media Exchanges at the Jakarta Channel. During a two-day meeting of national tourism organizations of Southeast Asian countries which concluded on Tuesday in Vietnam’s northern Quang Ninh province, its delegates adopted reports on investing in tourism, developing tourism products, including cultural tourism and gastronomy tourism, and protecting heritages. 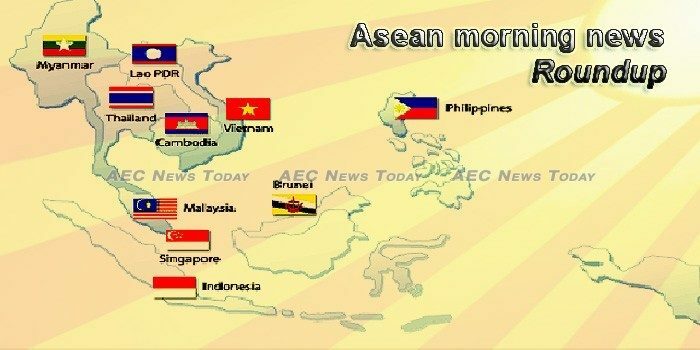 70 children from 12 different countries have joined the “3rd ASEAN Youth Representatives in Experiencing the Philosophy of Sufficiency Economy” (AY-REPSE) in Thailand. The 27th Annual Meeting of the Asia-Pacific Parliamentary Forum (APPF) officially begins on Tuesday in Siem Reap and will focus on issues on the Korean peninsula, territorial disputes in the South China Sea and human rights in Myanmar. Management consulting firm SRW&Co announced the names of the 2018 Asean Global Leadership Program recipients on Tuesday. The China tourism boom is fizzling, with China visitor arrivals easing across most Asean countries in late 2018, said Maybank Kim Eng economists in a Jan 14 report. With slowing growth, a weaker yuan and waning consumer confidence, the current tourist slowdown may persist for most of 2019, they added. On the back of strong growth in the garment, construction and hospitality sectors, the national economy expanded by 7.3 percent last year, according to the Ministry of Economy and Finance. The condo supply in Phnom Penh increased by nearly 19 percent in the last quarter of 2018, with 2,234 new units joining the market, according to CBRE’s latest report. EXPORTS from the Sihanoukville Special Economic Zone (SSEZ) were valued at $372 million last year – up 68 per cent compared to 2017 – according to a statement from the Council for the Development of Cambodia. Indonesia’s full-year trade balance hit a deep deficit of US$8.57 billion in 2018. Indonesia`s foreign debts rose 7 percent year-on-year to US$372.9 billion as of late November 2018, according to Bank Indonesia. Indonesian President Joko Widodo has revealed that after several years of delay, Indonesia and Switzerland will soon ratify a Mutual Legal Assistance agreement. Lao government is cooperating with a Chinese firm on a clean agriculture development project aimed to expand trade opportunities between the two countries, local daily Vientiane Times reported on Tuesday. Maintain outperform with an unchanged target price of RM4.74 per share: We recently had a meeting with Mega First Corp Bhd’s management and came away with some positive developments. The 5th Lao Wood Furniture Fair was opened on Jan 14 to promote local manufacturers of timber, bamboo and rattan furniture, and handicraft products. The Malaysian banking sector is expected to see moderate growth this year, in line with the slowdown in global gross domestic product (GDP). Malaysia has the potential to increase exports of textiles to the United States (US) in light of its trade war with China. Malaysian Finance Minister Lim Guan Eng says his government insists on reclaiming $7.5 billion from US financial firm Goldman Sachs in reparations over the 1Malaysia Development Berhad (1MDB) scandal, adding that it was “an extremely reasonable” amount. The European Union is likely this week to impose tariffs on rice coming from Myanmar for the next three years to curb a surge in imports, according to Reuters quoting a source familiar with the file. Myanmar has postponed a planned visit by the UN refugee chief to Rakhine state following renewed fighting between security forces and insurgents, a spokesman said on Monday (Jan 14). More than 120 regional and private business projects worth a total of over $3 billion will be showcased at the upcoming Invest Myanmar Summit 2019 which aims to attract major investment from East Asia countries. The world’s most popular Asean beach of 2018 is again open for business after having undergone a six-month-long overhaul under armed military guard. The national government intends to spend some P4.71 trillion in the next three years for ongoing and new projects identified under the three-year rolling infrastructure plan (TRIP). Money sent home by Filipinos working overseas rose 2.8 percent in November 2018 to $2.32 billion from $2.26 billion a year earlier, the Bangko Sentral ng Pilipinas said Tuesday. In 2018, the office market outperformed expectations despite a relatively lacklustre performance in Q4 as CBRE Research noted that annual take up rate hit 1.59 million sqft, which is about 25 soccer fields in size. This beat the net supply of 1.51 million sqft, whilst vacancy was reduced to 5.8% as of end 2018 from 6.1% as of end 2017. The Personal Data Protection Commission meted out its largest fine to IHiS for lapses in securing patient data which resulted in the nation’s worst data breach. Singapore has the ability to compel intruding Malaysian government vessels to leave its territorial waters, Defence Minister Ng Eng Hen said in Parliament yesterday. The use of more environmentally friendly B20 biodiesel and temporary school closures in critically haze-affected areas are among various proposals pitched by Prime Minister Prayut Chan-o-cha as the government ramps up efforts to tackle fine dust particles that have blanketed Bangkok. Thailand’s long-delayed general election to end military rule will have to be postponed from its Feb 24 date and will likely be held in March, two officials in the Election Commission said on Tuesday (Jan 15). BANGKOK RESIDENTS will have to put up with smog until early March, as high levels of PM2.5 particles is expected to settle over the capital for many more weeks. THE VIETNAM Trade Promotion Agency under the Ministry of Industry and Trade will work with Amazon to help Vietnamese small and medium-sized enterprises (SMEs) join the firmâs e-commerce system. Following the US exit, the new version of the Trans-Pacific Partnership (TPP) may offer an opportunity for China to invest more in Vietnam’s state-owned enterprises (SOEs). Over the past year, most investment funds in Vietnam’s equity market have seen negative growth in net asset value per share (NAVPS) due to the poor performance of the market indices.